Out now on Beatport https://www.beatport.com/release/primate-ep/2483008 Steve Mulder is a veteran producer who has racked up an impressive back catalogue including Unrilis, 1605, Respekt, MB Elektronics, Bush, and Odd Recordings, along with previous solo EPs on Intec. 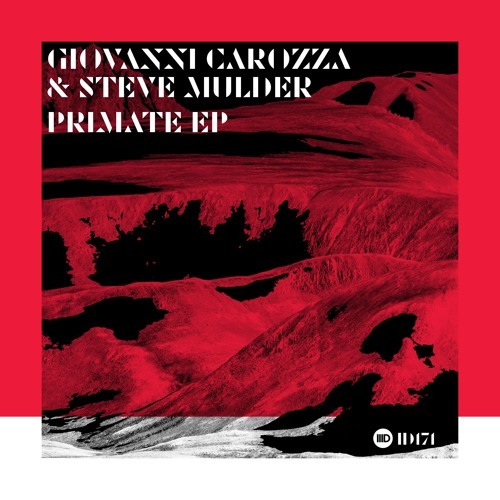 Giovanni Carozza is an exciting young talent who still early in his career, has already featured on many high profile imprints such as Unity Records, OFF Recordings, Suara, Bitten, and Phobiq. The pair had previously met via Giovanni Carozzas release on Bitten where Steve Mulder contributed a remix, which proved to be popular with DJs and clubbers all around the world. With the blend of the two artists styles having proved so popular, it made perfect sense for them to further this notoriety by collaborating on some original tracks, and this EP is the fruits of their labour. Primate opens the EP with its growling lead synth that gives it a monstrous sound full of ominous tension that adds to the track's ferocity. Like a ravenous predator with a huge appetite, the menacing mood of this techno track is full of aggression, and has an intensity perfect for maximum impact when being played through a club sound system. All about the urgency of the arpeggiated synth, Avant Garde has enthralling tension full of excitement. Its stabbing lead sound adds further magnitude to its fast and furious groove, solidified with the pounding of the kick drum. Crunching claps and vocal phrases are all a part of this captivating cut that closes off the two track release. Intec Digital Now this is Art !